For All Skin Type. Experience the divine scent of a lush rose garden, while rose oils and hyaluronic acid plump up fine lines , boosts elasticity and restore “bounce” to skin. If you are experiencing itchiness, flakiness, some red dry patches, blotches on face/neck, easily flushed or red, stinging/burning sensation, skin tightness, dull, sallow, rough, scaly texture, visible signs of fine lines and wrinkles, thin and fragile skin, skin can crack, peel and become itchy, irritated and inflamed then this toner is right for you. 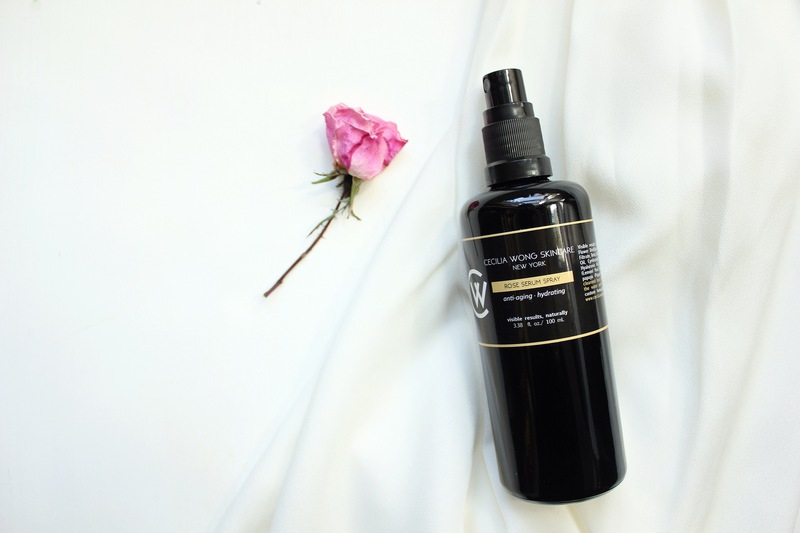 Steeped in a concentrate of Bulgarian and French rose petals, Cecilia’s mist is so packed with nutrients and antioxidants, it had to called a “serum spray”. Experience the divine scent of a lush rose garden, while rose oils and hyaluronic acid plump up fine lines, intense hydration, boost elasticity and restore “bounce” to skin. Probiotics + natural fruit acids refine dull complexions into supple, cashmere-like skin. 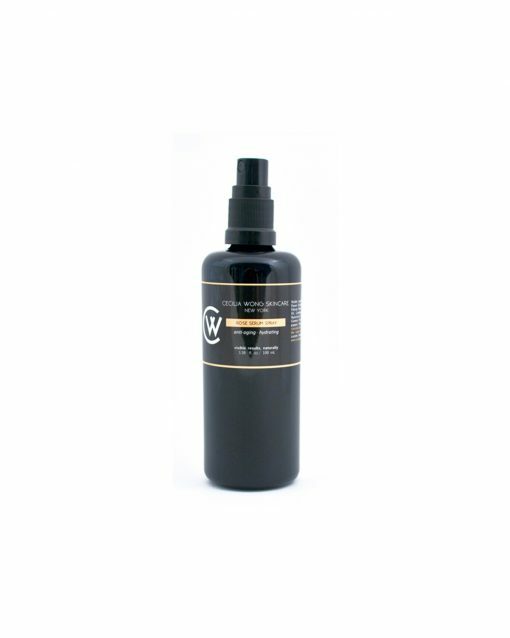 This luxurious mist targets sun damage and dryness with a quenching veil of droplets that act as an extra water reservoir for skin to drink from; enhancing the power of your skincare regimen when serum or moisturizer is applied on top. plumped, firmed & hydrated skin; brighter, and radiant complexion. Smoother texture, fine lines and wrinkles diminished, sloughs off dead dry skin. Aqua (Water), Rosa spp Flower Distillate (Rose Hydrosol), Glycerin, Leuconostoc/Radish Root Ferment Filtrate, Beta Glucan, Rosa spp Extract, Pelargonium Graveolens (Rose Geranium) Oil, Cymbopogon martini (Palmarosa) Oil, Pyrus malus (Apple) Fruit Extract, Sodium Hyaluronate, Vaccinium myrtillus(Bilberry) Extract, Citrus medica Limonium (Lemon) Peel Extract, Citrus aurantium Dulcis (Orange) Peel Extract, Carica Papaya (Papaya) Leaf Extract, Gluconolactone, Sodium Benzoate. 1. Spray on hand and apply to skin. While skin is still damp, apply serum and moisturizer to lock in the water and nutrients. 2. For intense hydration, use throughout the day.